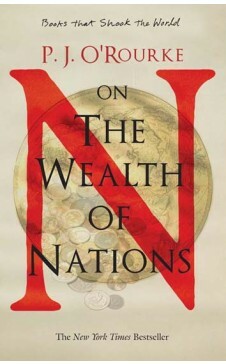 More than two hundred and thirty years after the publication of Adam Smith’s practical truths that shook the world in “The Wealth of Nations”; it has only begun to be absorbed fully. In his hilarious and brilliant style P.J. O’Rourke shows how Adam Smith is relevant. He tells us in the most amusing ways how things that now seem obvious were once revolutionary; and how division of labor, freedom of trade and pursuit of self interest espoused by Smith are not only vital to the welfare of mankind. He goes on to establish that far from being an avatar of capitalism, Smith was actually a moralist of liberty.